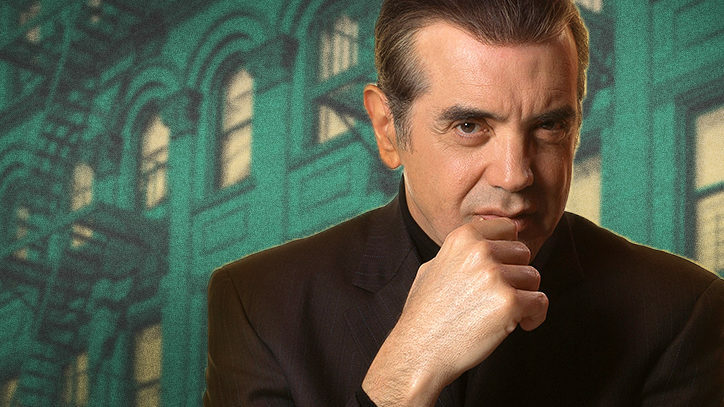 When it comes to entertainment, Chazz Palminteri has been around the block a few times. The actor/writer/director rose to fame with his autobiographical one-man show, A Bronx Tale, in the late 1980s. He later went on to write and star in the film version of the property, playing opposite Robert De Niro. In 2007, Palminteri made his Broadway debut, bringing his solo show to the New York stage. And now, almost a decade later, A Bronx Tale is back in the spotlight — but this time as a Broadway musical. NY1 theater reporter Frank DiLella recently caught up with Palminteri to chat about reuniting with his friends and bringing A Bronx Tale to the stage. This is a very personal story for you. Let’s go back to the very beginning: What made you want to tell your story? I decided to come out to L.A. in 1986, and I came out here and got on Hill Street Blues, Matlock, and Dallas and all these shows. I was doing OK — I was getting a lot of guest-star roles — and then you do all the guest-star roles and you start running out of money like everyone else. So I ran out of money and got a job as a doorman ’cause I used to box and bounce in New York, and I was working in L.A. at this very exclusive club, and then this one night, this guy was really rude to me and I was handling the ropes to let people in and I wouldn’t let him in. And he said, “You’re going to be fired in 15 minutes.” So I said, “Yeah, sure.” And then I heard the boss come out and he said, “Swifty,” and it was Swifty Lazar, and it was his party, and I wasn’t letting him into his own party. And sure enough I got fired in 15 minutes. So I went home — I was really down and running out of money — and I didn’t know if I should go back to NYC. And I thought, If they don’t give me a great part, I will write one myself. So I went to the drugstore, got five pads of yellow paper. … I said, “What am I going to write about?” Then I remembered this killing that I saw when I was a kid, sitting on a stoop. And I remembered the relationship I had with the wise guys. And I said, “Well, I’m going to start with that.” And I wrote a five-minute piece on this killing that I saw and I performed it for my theater workshop. And then each week I would go back and perform another five minutes. During the week I would write 10 more minutes and then after about a year of editing and putting other stuff in, I had a 90-minute one-man show of this whole thing I did about my father, the bus driver, and Sonny, the wise guy, and my relationship with this black girl I was dating. And I put this whole thing into a story and I got money — my friend lent me money to produce it. The day I produced it, the reviews exploded and I got offered $250,000 in two weeks, but the people who were offering me the money didn’t want me to play the part of Sonny in the movie — they wanted to put a star in the role — and they wanted another person to write the screenplay. And I said, “No. I want to write the screenplay, and I want to play Sonny.” So I went back to doing the play. And the crowds got bigger, and every writer, director, studio head, movie star wanted to make it, but again they wanted to push me out. And then I got offered half a million dollars, but again I said no. And about a month later, the crowds got bigger, we had to move into a bigger theatre, and I got offered $1 million — and I turned it down. My dad always told me, “The saddest thing in life is wasted talent,” and I never forgot that. And then two weeks later Robert De Niro walked into the theatre and saw the show — came backstage and told me it’s the greatest one-man show he’s ever seen and it’s one of the greatest stories he’s ever heard, and said this would make a great movie, “And I’ll direct it. I’ll play your father, and you should play Sonny, and you should write the screenplay.” And that’s how it happened. This property has never left you. In fact, you made your Broadway debut when you performed the solo version of A Bronx Tale back in 2007. I brought it to Broadway in 2007 because so many people said, “I heard the one-man show was great,” and around 2007 I thought, I’m still young enough to do this. Because it’s a very exhausting show. And I came back and did it again, and it was huge again. I still do it here and there — I do it out of town. [Music executive] Tommy Mottola always said what a great musical this would be. And finally, five years ago, Tommy said we can’t wait anymore, we’ve got to make this happen. 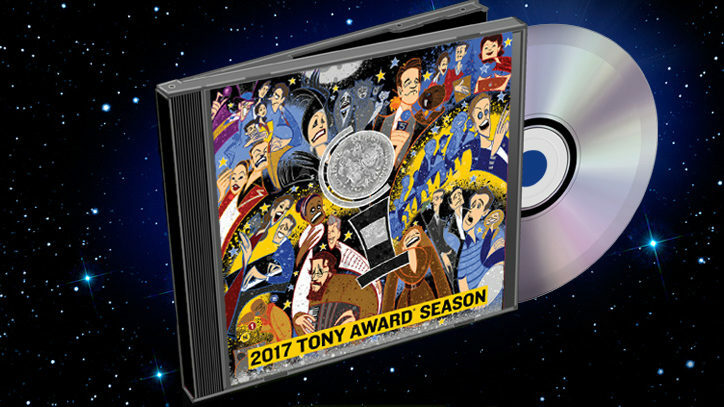 And he got the producers together and he said, “Who do you want to write the music?” And I said, “I think Alan Menken would be great!” We worked really hard on it for about five years and then we put it up at the Paper Mill Playhouse in New Jersey, where it got great reviews. And now we’re on our way to Broadway. I understand that aside from the book, you were originally going to write the lyrics too. Yes. I was going to write the lyrics with Alan Menken. But then I was doing the book and Alan introduced me to Glenn Slater, who wrote the musical Sister Act, and I thought his lyrics were brilliant. So I said, “Look, forget about me doing the lyrics. You do the lyrics, I will do the book.” And he’s wonderful. Alan Menken is a master composer. Can you talk about how he captures the sound of the Bronx in the 1960s with his music? I don’t want to sound biased, but I think Alan Menken is a complete genius. (Eight Oscars, 11 Grammys, one Tony!) I directed a movie that he wrote the music for, a movie called Noel, and he was just brilliant. And I just had a great time working with him. And I remember seeing his piece Little Shop of Horrors years ago, and it had doo-wop, R&B, blues, swing. And I remember thinking this guy could do anything. 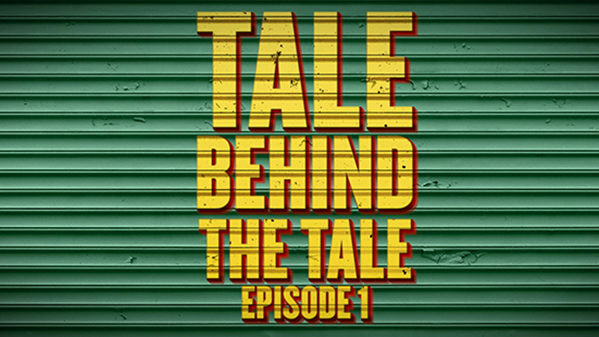 And I always thought A Bronx Tale was a fable — and we’ve seen Alan do great fables with animation — so I just thought he would be great. I truly believe this is one of the best scores he’s ever written: He’s captured the swing, Sinatra, Bobby Darin sound; he knows that time period so well. I’ve been with a ton of musicians because I started out as a musician, and there’ve only been two writers that I’ve worked with who could just sit there and write great song after great song — and one is Alan Menken and the other is Billy Joel. You’re reuniting with Robert De Niro on this project as well as the director of your solo show, Jerry Zaks. Both men are codirecting your musical. I’m getting the best of both worlds: Bob directed the movie and Jerry directed me in the one-man show, so each one brings their own kind of uniqueness into it. So it’s really good. This is a story about family. You’re a father of two. How did your kids respond to the musical when it debuted at the regional Paper Mill Playhouse? It’s funny: When I first did the show, I didn’t have children. So I really related to the boy- to-the-father. And then when I did it in 2007, I had children — and a son — so I started to relate to the father-to-the-boy and the boy-to-the-father. Both my children are talented and in the entertainment business, and I taught them, just like my father taught me, “The saddest thing in life is wasted talent.” Like my father wrote down on a card and gave it to me and I put it in my room, I wrote it on a card for them and put it in their room. And my wife and I are on top of them — we push them. If they don’t want to be in the business, we don’t push them to be, but they want to be in the business so we say, “OK. As long as you do good in school, you can do all this.” I think it’s important when a child finds his or her passion, you should let them go. This musical takes place in your old neighborhood. Have you been back? Oh, I go back once a month. I go shopping. It’s always great to be back there. I see some of my old friends who are still there. I enjoy it very much. I was concerned about who was going to play Sonny: He has to be good, he has to be real, he has to be funny. And then I saw Nick Cordero in Bullets Over Broadway and I was blown away. And I thought, That’s Sonny! And — you’re right, it’s funny — he played [my role] in the Broadway musical Bullets Over Broadway. I played Cheech in the movie. I thought, This guy is me at 37 years old. What will you be thinking about on opening night? Wow — I don’t know. … I’m very excited. We’ve worked very hard on this show. I hope the Broadway audiences like it. You know the story; people love the story. A Bronx Tale is a big hit in Europe, Japan, all over the world, and I go, “How can that be?” But people have dreams and aspirations like anyone else. And I think I wrote this thing that’s lightning in a bottle — the father, the son, all the characters — and I was just writing from my heart. And what I wrote seems to connect with other people. You’re making your musical debut as the bookwriter of A Bronx Tale. Do you have any desire to perform in a musical on Broadway? I would love to do a Broadway musical, but I knew in my heart I shouldn’t be in this. Originally they wanted me to be in this but I said no. I did the movie, I wrote the screenplay, I wrote the play, and did the one-man show. I want this to be a new version of A Bronx Tale. 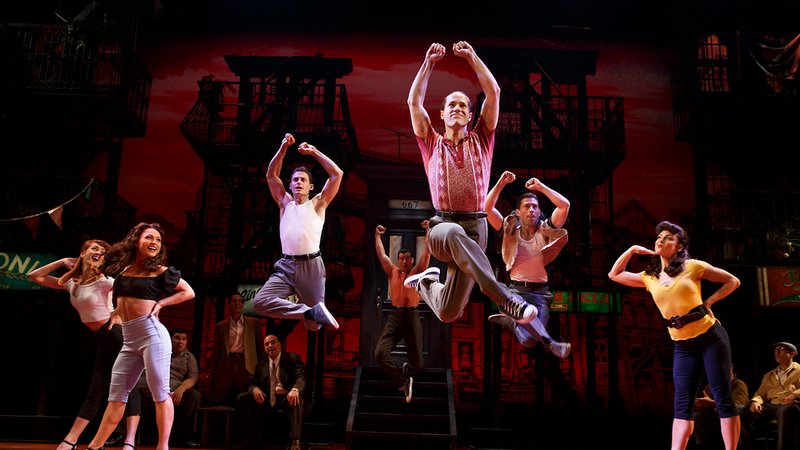 Get tickets to A Bronx Tale at the Hollywood Pantages.